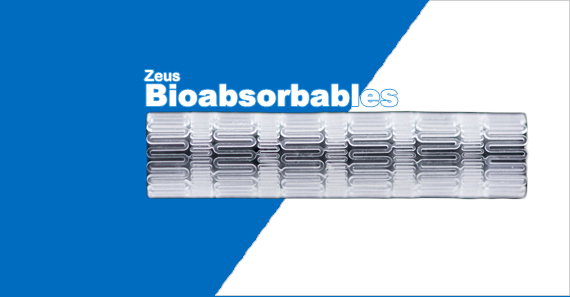 Bioabsorbables are particularly suitable for various medical applications and provide an alternative to traditional polymers or metal components. Absorv® and other bioabsorbable polymers are capable of safely existing in the body for controlled lengths of time before absorbing without causing harm or adverse interactions. Most of the commercially available bioabsorbable devices are composed of polyesters, primarily homopolymers and copolymers of poly(lactic acid) and poly(glycolic acid). Copolyesters of e-caprolactone, trimethylene carbonate, and para-dioxanone have also been commercialized. As the world leader in fluoropolymer extruded tubing, we bring to you tubings to cater to the mission-critical needs for an array of applications – from precision minimally invasive medical devices to high-performance aerospace sub-components. Zeus materials scientists are adept at matching polymers to the desired performance requirements. When it comes to polymer expertise in the medical device industry, Zeus has no equal. With expertise in virtually every engineered plastic used in the medical device industry today, including thermopolymers, thermosets, and PTFE used in catheters, grafts, shunts, stents, diagnostics and orthopedics. We have an impressive array of optimized tubing solutions for advanced applications. flared and flanged tubes, as well as a host of additional secondary services including: drilling, etching, bump and draw down tubing, tipping, striping, scoring, and slitting. We also provide custom tubings to suit your exact requirements, weather its Heat Shrinkable, Monofilament or Extruded tubing, its all in our range.ea. Zeus’ Absorv® biomaterials platform is targeted for the development of a wide variety of medical products for both preventive care and disease treatment. With the steady growth and interest in bioabsorbables, applications are always evolving and expanding. Stents – vascular, coronary, biliary, ureteral, esophageal, etc. Are Zeus tubes available in India? Although Zeus has a wide range of catalogue products available, most of the time, the lead time for even a custom made product is not longer than 2-3 weeks. Filfab also keep stocks of selected products in its warehouse in India for faster deliveries. What are the major applications for Zeus tubing? Zeus is a global leader in supply of flouropolymer tubing to the Medical Device market. Zeus tubings also find applications in critical fluid handling in pharmacueticals and Semi conductor industries and for applications in the electrical and mechanical industries. Will Zeus help me in selecting the right tube for my application? Yes, of course. Zeus Application Engineers would be happy to discuss your process and suggest the right polymer for you. Zeus also provides several customisation options like colours, packaging and even testing and certification for challenging applications. What certifications are offered by Zeus for Medical grade tubings ? Zeus is proud to offer biocompaitbility and USP Class VI certification for most of its resins like PTFE, FEP, PFA, ETFE and PEEK. In addition, Zeus has certified USP Class VI tests for many pigments and compounds used. Further Zeus offer 100% traceability on all your orders. All tubings are supplied with a Certificate of Conformance as a standard offering. What is the shelf life and what are the storage requirements? 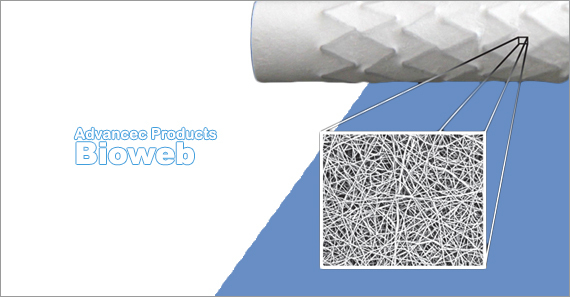 Extruded fluoropolymer tubing does not have a determined shelf life. Extensive weathering and ageing tests reveal no degradation when exposed to weather, UV light or extreme temperatures. However Heat Shrink tubings are shipped with expiry dates although Zeus has tested heat shrink tubing that has been aged more than 20 years and revealed no adverse characteristics. their utmost satisfaction. In case they aren’t, they know our support team is available on call to support them when required.